The St. Louis Cardinals system went 2-2 on Sunday. Player of the Day John Gant led Memphis to a shutout win and Sam Tewes tossed a quality start for Palm Beach. Recaps from games played on Sunday, June 10. 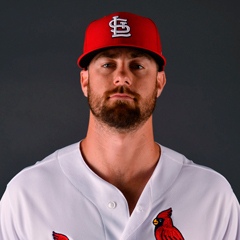 Powered by John Gant’s dazzling outing and a pair of standout offensive performances, the Redbirds enjoyed a 6-0 victory over the Aces at AutoZone Park on Sunday. Gant, our Player of the Day, fanned eight batters and walked one over his seven scoreless innings. With the win, Gant improved to 5-1 and lowered his ERA to 1.67 in seven starts for the Redbirds this season. Franklin Morales and Sean Gilmartin combined to pitch a scoreless eighth inning, and Edward Mujica nailed down the ninth. First baseman Rangel Ravelo and catcher Carson Kelly led Memphis’s efforts at the plate. Ravelo batted in three, including two on a home run in the first inning. Kelly went 2-for-4 with a double and two RBI. Third baseman Patrick Wisdom scored twice, and right fielder Adolis Garcia smashed a solo homer in the fifth. Monday’s game: Chris Ellis vs. Reno Aces, 12:10 PM Central time. In a game where all the run scoring was confined to one inning, the Drillers pulled away with a 5-3 win in Springfield. Tulsa scored five runs in the top of the third, and the Cardinals scored three in the bottom of the frame. Jake Woodford logged six innings in his start and aside from the third inning, the right-hander pitched well. Three of the six hits he allowed came in the third, as did his only walk. Nonetheless, Woodford’s record dropped to 3-7 with the loss. Jacob Evans pitched scoreless seventh and eighth innings, and Colton Thomson posted a zero in the ninth. The Drillers, though, had already done enough damage. 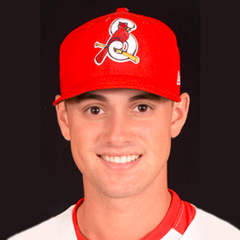 Cardinals first baseman Stefan Trosclair led off the bottom of the third with a long ball, his second home run of the season. With runners on second and third, center fielder Lane Thomas doubled to plate them both. The three runs were all the Cardinals mustered, as the team went 1-for-5 with runners in scoring position and stranded five runners. Monday’s game: Mike O’Reilly (2-2, 2.20) vs. Tulsa Drillers, 11:10 PM Central time. On the strength of a four-run second inning and a quality outing by Sam Tewes, the Cardinals defeated the Tortugas by a 6-3 final score. Four Cardinals went 2-for-4: left fielder Shane Billings, catcher Brian O’Keefe, first baseman Ryan McCarvel, and shortstop Kramer Robertson. Robertson had two RBI, while Billings, O’Keefe, and McCarvel each drove in one run. Palm Beach combined to go 5-for-9 with runners in scoring position. Tewes tossed six innings of three-run ball to earn his first win with Palm Beach this season. Tewes fanned eight batters and walked one while he limited the Tortugas to six hits. Jacob Patterson recorded four scoreless outs before Junior Fernandez handled the final 1 2/3 innings to secure the win and his first save. Monday’s games: The Cardinals and the Fort Myers Miracle will continue a suspended game from June 7 at 4:00 PM Central time. The game was suspended in the bottom of the seventh, with the Miracle as the home team and the score tied at three runs apiece. The two teams will play a regularly-scheduled game following completion of the suspended game. Palm Beach has not announced its starting pitcher for the game that is slated to start around 5:30 PM Central time. Not much went Peoria’s way in their 9-0 home loss to the River Bandits on Sunday. 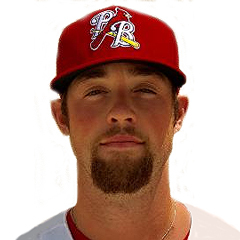 Chiefs starter Evan Guillory surrendered six runs – all earned – in his start of four innings. Frederis Blanco allowed two runs in the sixth inning, and C.J. Saylor gave up the Quad Cities’ ninth run of the day as he worked the final frame. 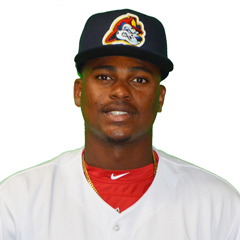 Peoria third baseman Elehuris Montero was 2-for-4, accounting for half of the Chiefs’ hits. Catcher Julio Rodriguez and right fielder Angel Moreno each singled, and Rodriguez and left fielder Nick Plummer reached base on walks. All six runners were stranded. Monday’s game: Jesus Cruz (0-1, 4.50) vs. Quad Cities River Bandits, 12:00 PM Central time. The rookie-level league does not play on Sundays. Monday’s games: DSL Cardinals Blue at Nationals, DSL Cardinals Red vs. Diamondbacks #2, 10:30 AM Central.